Have you always wanted to own your own Liquor Store? Now is your chance! 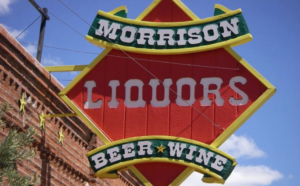 Established liquor store business in Morrison, Red Rocks Concerts and very profitable! This business has thrived purely on walk-in traffic through the town of Morrison….no real marketing to increase business has been done, so there is Lot’s of potential growth with this business. Tons of new construction and residential growth happening in and around Morrison. Concert Season is just around the corner. Don’t miss your opportunity!! LISTING AGENT MUST ACCOMPANY ALL SHOWINGS. PLEASE CALL 303-378-1113 FOR SHOWINGS. Please allow 24-48 hrs notice for showings. Non-disclosure agreement must be signed prior to viewing P/L and financials. Listing is for business only, building owner is interested in selling the building when a suitable buyer for the business is identified. All inventory, trade fixtures, decor, shelving, coolers, ice machine, are included in purchase price.